President Trump is living rent free in Keith Olbermann’s diseased head. Check out this Olbermann tweetstorm…. President Trump is living rent free in Keith Olbermann’s diseased head. Obsessed with Donald Trump, Olbermann secretly longs to be The Donald, dreams of hanging out with him. Like the middle-schooler who desperately wants to sit in the cafeteria with the cool kids, but is terrified of rejection, Olbermann’s only hope of getting President Trump’s attention is attacking him all day, every day. 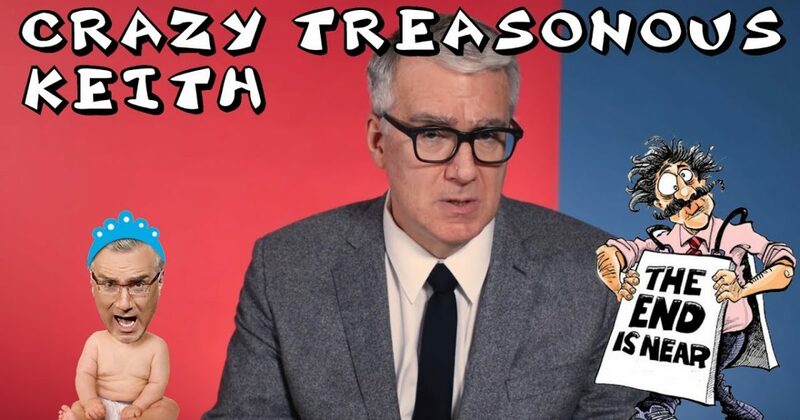 Like the third-grade boy always yanking on the pigtails of the girl in front of him to gain her favor, a tactic I never knew to be successful when employed, Olbermann abuses President Trump every minute of every waking day. The rest of the time he is sound asleep, lost in wet dreams of living at Mar-a-Lago as Trump’s Florida concubine. 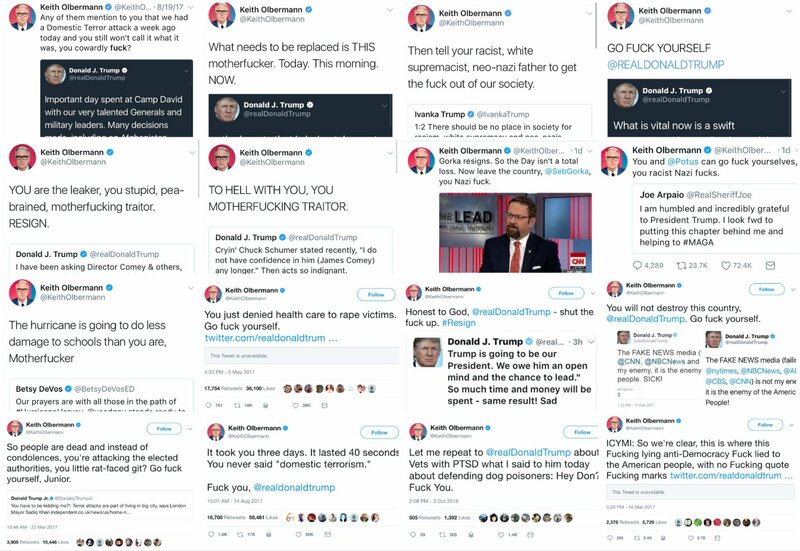 Check out a few of Olbermann’s recent, characteristically profane, foaming-at-the-mouth tweets and tell me that President Trump is not living rent free in Olbermann’s empty head….